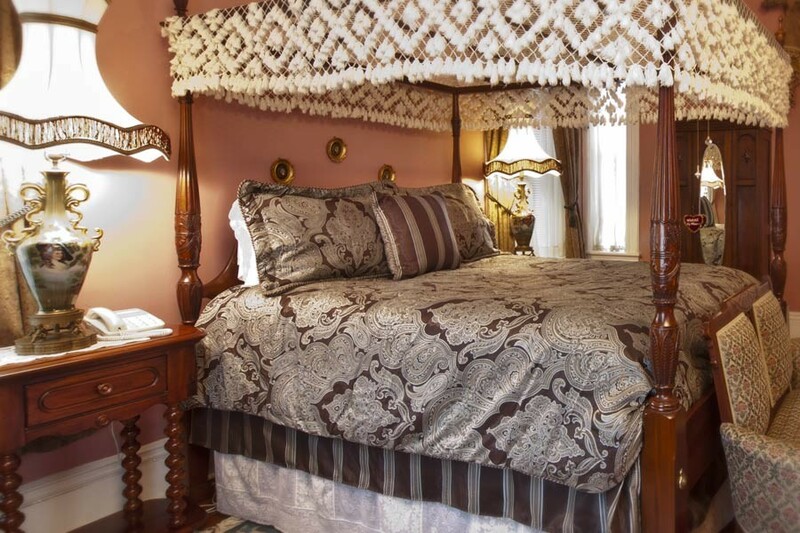 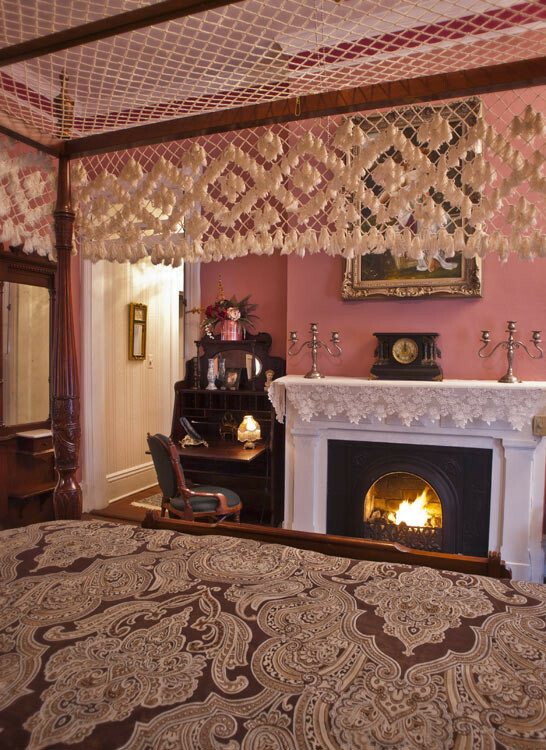 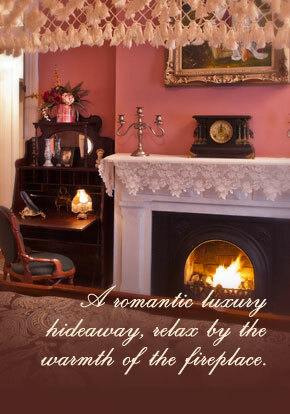 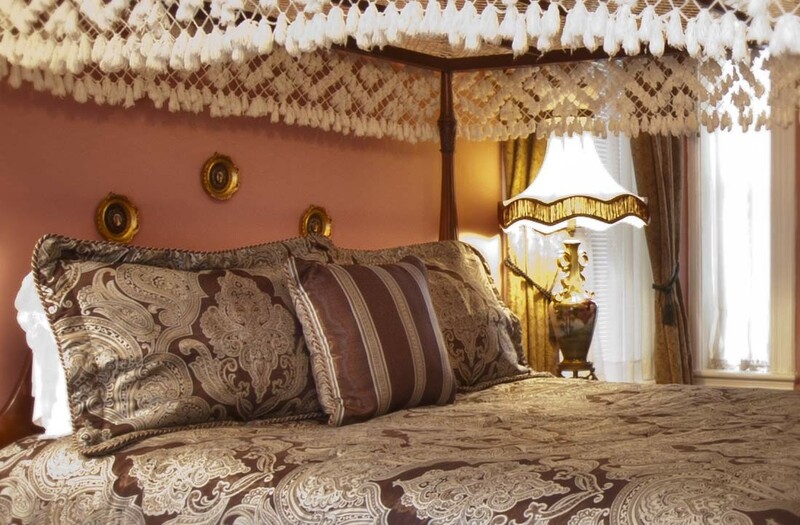 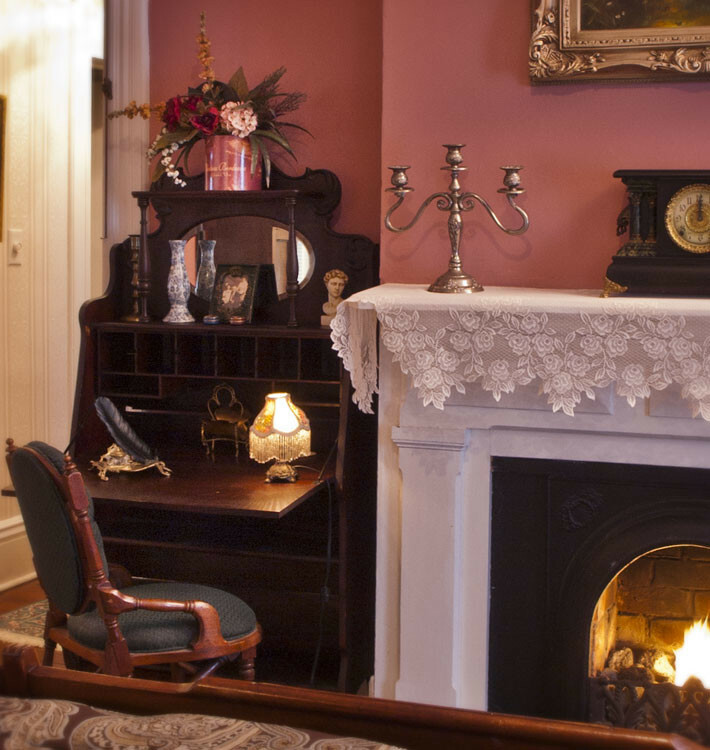 Enjoy the Lincoln Room… another romantic hideaway at our Savannah, Georgia B&B offering a 4-poster King, canopy bed and a view to the courtyard. 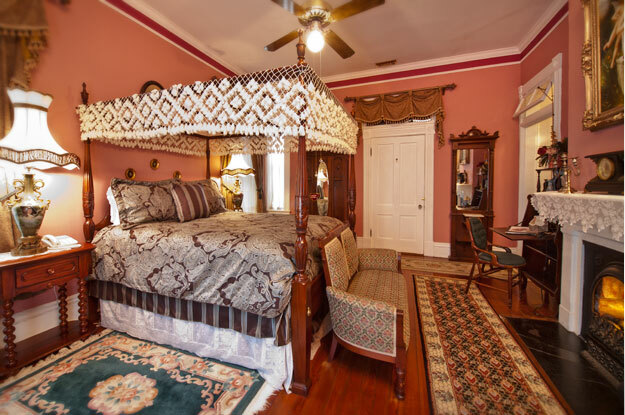 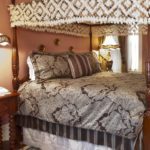 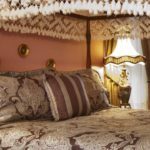 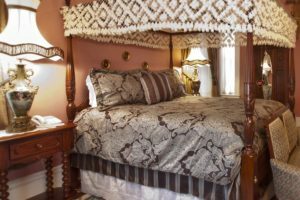 This spacious room boasts romance with rich colors, authentic antiques and the luxurious claw foot tub to soak your troubles away. 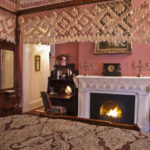 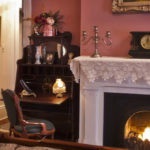 NOTE: This room has connecting, interior doors to the Abercorn Room making it a great combination suite when rented with the Lincoln Room.